This is a 1922 ad for a Jell-o w/ art by Angus Mac Donald! The size of the ad is approximately 10.5x14inches. 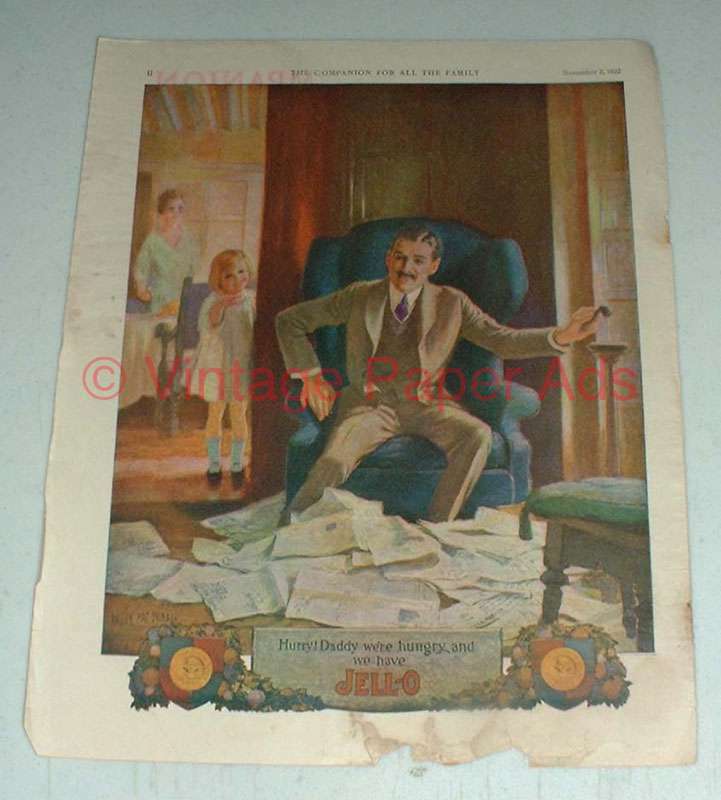 The caption for this ad is 'Hurry Daddy we're hungry and we have Jell-o' The ad is in fair condition, with significant staining, and other damage at bottom. This vintage ad would look great framed and displayed! Add it to your collection today!